4"Bucket Pot is a high-quality designer product by Deva International. This product is the most appreciated product of our clients. This can be used both in indoors and outdoors. - Made of quality checked materials. Handcrafted by expert Artisans & finished, Packing through well trained workers under the Supervision of rich experienced team members. 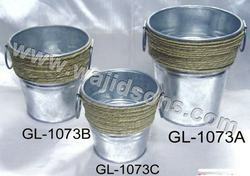 With a firm commitment to quality, our organization is involved in offering a wide ambit of Handmade Rope Bucket. 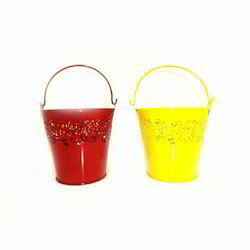 We are a leading manufacturer and supplier of Decorative Buckets.we deal in good quality product.we are involved in offering a high quality range of Decorative Buckets.